It must be said... Australia continues to trailblaze ahead of most first-world nations in its funding and fostering of novel programs that explore the arts in the virtual realm. The Australia Council for the Arts has just announced the winners of its collaborative massive multi-user virtual environment (MMUVE) arts project, MMUVE IT!, and this is the second consecutive year that a NPIRLer wins. Our own Nonnatus Korhonen (aka Andrew Burrell), together with Nuerone Schism (aka Trish Adams), are the recipients of the Council's AU$30,000 grant, which they will use to collaborate on Mellifera, a mixed-realities artwork exploring cognitive processes and body movement, and their relationship to virtual environments in both Second Life® and the recently launched Australian virtual platform, Vastpark. Last year's winner was Babelswarm - an interactive sculpture based on the mythical Tower of Babel - conceived and created by NPIRLer Adam Ramona (aka Adam Nash), Mashup Islander (aka Christopher Dodds), and Justin Clemens, (teleport directly from here). ... as well as Oracle, an installation that investigates perception and interpretation of language and representation of form (teleport directly from here). Brisbane-based arts/science practitioner and researcher Trish Adams (Nuerone Schism) has a Doctorate in Visual Arts, and her thesis explored the impact on expressions and representations of corporeality of experimental techniques in biomedical engineering and involved a cross-disciplinary collaboration with a biomedical scientist at The University of Queensland. 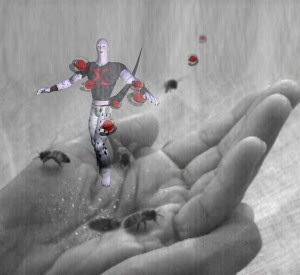 The artists will collaborate with Professor Mandyam Srinivasan, head of visual and sensory neuroscience at the University of Queensland's Brain Institute - where Trish Adams is currently an artist in residence - to create artifically intelligent bee-like creatures that will be native to their virtual environment. Said Andrew,"They'll feed and have predators like ordinary creatures, but their behaviour will be determined by the rules of the environment." Professor Srinivasan was the recipient of the 2007 Premier of Queensland Smart State Fellowship Award for his leading research into cognition and navigation systems in small brains such as the honey bee. "We’re confident that the project will again ensure Australia’s place at the forefront of creative digital and social networking practices." -Andrew Donovan, Australia Council inter-arts office director. Can't wait to see the result of the project. Since we're talking about Australia, there's some interesting development on controlling 3D environments. EPOC - Emotiv Systems perhaps the next generation of interactive artwork will react to your avatar's thoughts. wow...that's a mouth full! can't wait to visit the sites and add the locations to the SaLamander Wiki. and as always, awesome awesome news NPIRL!!! This project, on exhibition in Regina, Saskatchewan, Canada, was commissioned by Brenda Cleniuk/3d2 Pintens for Soil Digital Media Suite and funded by the Canada Council for the Arts and remains active as a gallery installation, September 8 - April 15, 2009. Experience - first-hand - the creations, ideas and innovations that are pushing the boundaries of what is real. No, we're not in Kansas anymore! Virtual worlds are where all the disciplines of art and technology combine to make for the most compelling and exciting adventure imaginable. 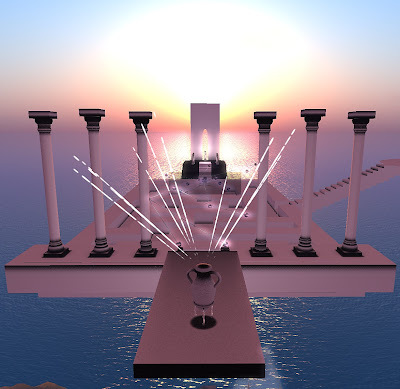 NPIRL founder - Madly, wildly embracing the impossible made possible in Virtual Worlds. "I need a new clockwork brain!... Indeed, maybe two?" A central goal for us is to collect and distill what's really happening out there and pare down your options to the essence of what's cool, trendsetting and even groundbreaking, always within the context of Not Possible IRL. This is not intended as a calendar of events and our selections are, by necessity, subjective and opinionated. To learn more about the criteria for what is NPIRL, click here. If you'd like to share a landmark, notecard or hot tip of any nature with us, kindly share it with us in-world. We try to always credit the finder, too. A great place to rez your art and have it critiqued by art critics. 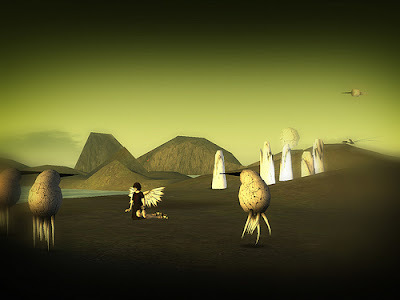 Is Second Life the theatre of the absurd? Domenico Quaranta's "Spawn of the Surreal"
Iris Ophelia's blog "Ophelia Drowns"
NPIRL fashion: What the heck is it? What is your favorite mirroring tool? Not Possible IRL by Bettina Tizzy is licensed under a Creative Commons Attribution-Noncommercial-No Derivative Works 3.0 Unported License.